An American release of the Polydor recordings. 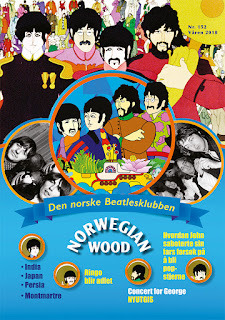 When Klaus Voorman made the collage that became the front covers of the Beatles' Anthology album series and related releases, the front cover of Anthology Vol 1 had as centre piece the album cover of an obscure American 10" album of the Polydor songs the band, including Pete Best, recorded as a backing band for Tony Sheridan. Anthology 1 depicted the old record, but Pete's head was torn off. 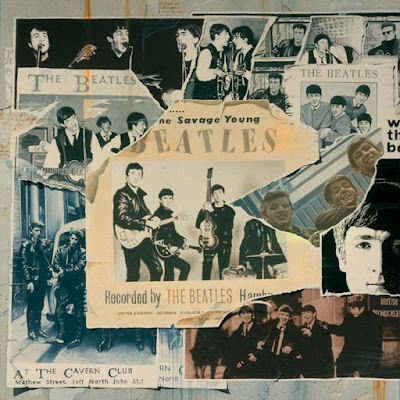 However, on the collage, Pete Best's head was torn off, revealing Ringo from a picture of The Beatles taken for the Please Please Me album cover. 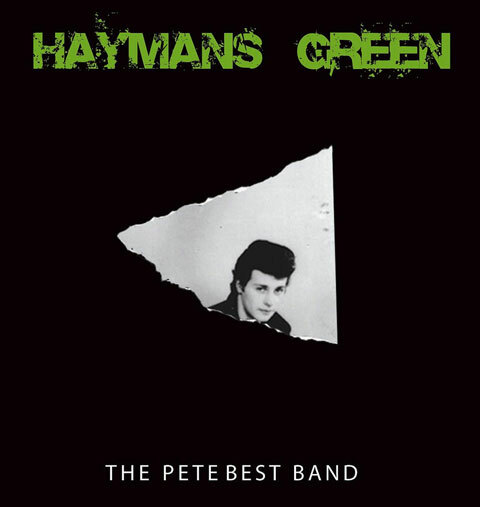 Pete Best Band's album "Hayman's Green" from 2008 depicted the missing piece. But Pete got his revenge when the album cover of his band's "Hayman's Green" album from 2008 featured just the missing piece from the Anthology cover on the front. Even though he was not involved in the making of the Anthology series, he was the drummer on several songs on Anthology Vol. 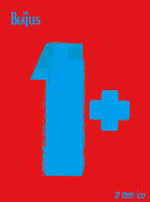 1, including songs from the Polydor sessions as well as songs from the Decca audition and others. Best negotiated a deal with Apple for his involvement on these recordings, and through this deal he finally became a millionaire in pounds sterling. But I am also sick of some commentators constantly rehashing the so called puzzlement about his sacking. As Lewishon's book makes very clear, at every step when they tried to record there were serious doubts about his drumming. It wasn't just George Martin, it was also the Decca engineers and even the Polydor recordings. It didn't help that he clearly didn't fit in all that well with the other three, and Mona's interference would have riled too. There is another side to the sacking; with hindsight we know how events unfolded, but in June 1962 with a limited record deal with Parlophone (and Lewishon has unquestionably cleared up that story too), they didn't want to risk losing out on possibly their last chance with the record companies. But who would have guessed it would have resulted in 50 years of fame and countless millions of record sales? Personally I think the anthology changed things for Pete. He was alive (John wasn't), he was wealthy (so we don't have to feel sorry for him) and the release of the June 6th recording of Love Me Do explained exactly why George Martin had such doubt about him. Ringo was a much better drummer for sure. I just can't see Pete even coming up with the patterns on songs such as Ticket to Ride, Rain, A Day in the Life or Come Together to just name 4. I meant ever come up, not even! Also, it was a bit unfair and cheap to rip off his head on the Anthology 1 cover though; it wasn't necessary so he deserves a belated dig back! The Haymans Green cover is very funny. 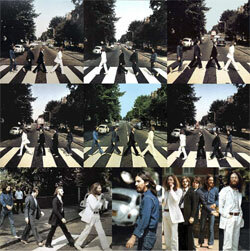 But actually, Pete's head wasn't ripped off the Anthology 1, it was merely covered up by Ringo's face. Of course, Pete still got his face on the front, standing next to George in front of the van. To be fair, Ringo didn't come up with the drum part for Ticket To Ride either. That's all Paul. Here's the thing, though: The band wouldn't have ever become what we now know them to be if Ringo wasn't on that drum riser. Can you imagine that Pete Best "thing" as the work released in 1964 was rolled out? It would have been very...mediocre. I can't even imagine anyone else doing what Ringo did at the Washington Coliseum in 64. It was seriously one of his defining moments as a drummer and as a member of he band. I'm camp Ringo for sure, but wish no ill-will on Pete. Pete really just wasn't that good. Actually, if you look closely at the artwork for Anthology 1, Pete's head IS ripped off from the photo which reveals Ringo on the photo below it. Kind of a cheap shot in my opinion, but I see why the Beatles didn't want to feature Pete on the center photo of the collage. You can barely distinguish who is who on the photo Pete does appear in on the collage. I would have felt slighted too. Even though he was not a very good drummer, he was still an integral part of the early Beatles. The fact that as early as the Kamphert /Polydor sessions, they were asking Pete not to play his bass drum tells you about his drumming. I know it's 20/20 hindsight but you can't imagine PBs style growing with the band how Ringo's did. It's also the case that Klaus did not have to use any photo that featured Pete so it does come across as both deliberate and disrespectful. Thanks RAJ - I think you're right. I've been misinterpreting that part of the collage for all these years. I actually met Pete years ago and when he signed my Anthology album he made sure it went diagonally over Ringo's, Paul's and George's faces, where the missing piece should have been. I think he has a sense of humour about it. It maybe a little disrespectful on Klaus's part, but he started as a fan of the band in those early days when Pete was the drummer, so it doesn't make sense to me that he would deliberately want to dis Pete. Anyone else interested in that BBC radio event and a chance to meet Pete? I lived and studied in Manchester for years, and although I knew that they played at the Ardwick Apollo (as it's now called), the ABC studio in Didsbury, and possibly appeared at the BBC's converted church studio in Dickenson Road in Rusholme (in fact I once lived really close to the location of that one), I am not sure I ever really comprehended the fact that their first radio performance was at another location in Manchester, the Playhouse Theatre, Hulme. It's now a church but it is being used as a theatre again for this event. Pete's absence from Anthology was jarring... (and one reason Anthology Revisited is better). 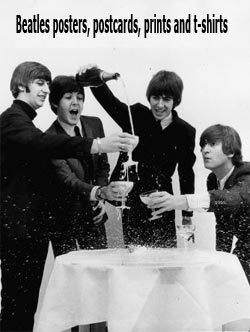 Anyone remember the Heineken ad he did—in the first ad break when Anthology first went out in UK: "Probably the Pete Best lager in the world". Naff idea but big £££s for PB. It's ok enough. "How long is forever?" Well, you've just answered you're own question, haven't you. Maybe the writing isn't quite up to the level of his former band, which is what made the former band everything they were, and has made the PB band what they are. It sounds nicely-enough produced but it is also very lacking for such a direct comparison to Beatles and solo Beatles in the way that the YouTube posters seem to be making. It hardly holds up under that comparison, which is an unfair comparison IMO. People will agree and disagree to everything under the sun. I don't think I'd buy it though. I didn't buy Harman's Green only because Pete doesn't sing on it. I would buy a cd of him singing the numbers he did as a Beatle though. Even if he wasn't/isn't a very good vocalist. I want to hear "Pinwheel Twist" and others he sang. I'm not sure the cover is meant to disrespect Pete Best. I'm sure it's deliberate: it's not a coincidence that it's Ringo's head that's revealed. But I see it more as just a visual representation of what went on. It wasn't Klaus Voormann who got rid of Pete, after all. 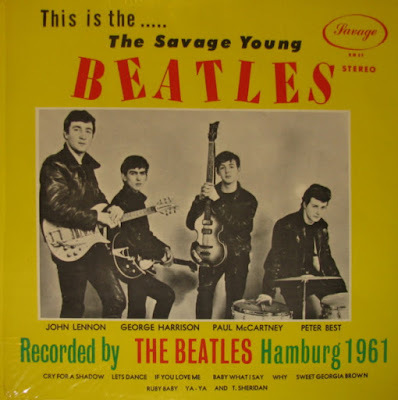 (Anyone who thinks Germans don't have a sense of humour: the savage young Beatles indeed.) I'm sure it's also coincidence that that tear kind of forms an arrow pointing at Paul. Or if you want to look at it another way, Paul almost gets it in the neck when they rip Pete Best out of the band. Although Ringo's face replaces Pete in the centre of the cover, Pete is clearly shown a couple of inches to the left, standing next to George - about the same size as Stu's face in the top right. Also, the "arrow" of the tear lines up perfectly to Pete's image. Aside from working well compositionally, the size of Pete and Stu's images are in proportion to their presence on the album. More obviously, Ringo's image replacing Pete works well considering he replaced Pete in the band. The whole cover is totally consistent with Klaus's "cut and paste" approach to Revolver almost 30 years earlier - no great conspiracy, just excellent design/layout! They (The Beatles) were just a show business all about money. They replaced Pete with Ringo but was equally replaced in many studio recordings for being not as good, so? It's not that important, yes Pete was part of the early Beatles and it's great he got a percentage of the earnings,thanks to Paul and Ringo,I have seen Pete in many interviews and he seems like a genuinely nice guy but History is History and so be it. Atlantic City - fake again!